Ball gown style dresses are designed with a tight-fitting bodice and a full skirt. They are very glamorous and perfect for the bride who is envisioning a fairy-tale style wedding. We have compiled a list of some of the most stylish ball gown bridal dresses including strapless and off the shoulder bridal gowns. 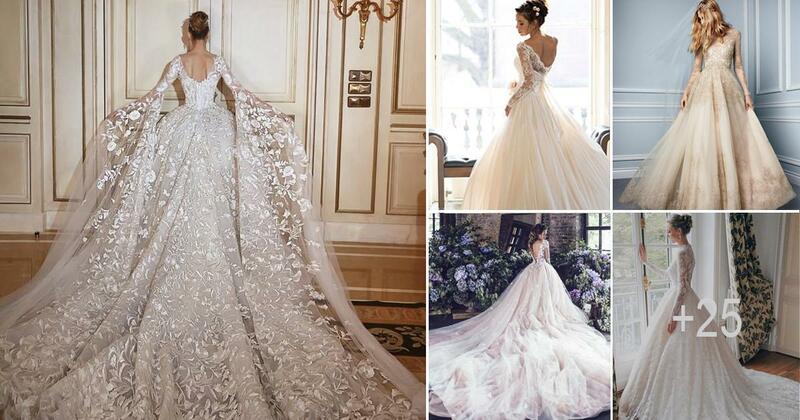 Feel free to pursue our gallery of ball gown wedding dresses to help you find the wedding gown you have wanted since you were a little girl!